Written by a lifelong professional beekeeper, this is the worlds best selling guide to beekeeping. 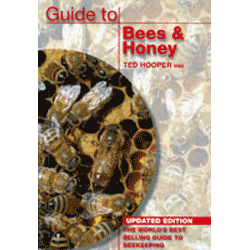 It is widely recommended as the essential first book for beginners, it covers every aspect of keeping bees. New edition with an update on honey bee pests & diseases with the four full colour plates restored as in the early editions.